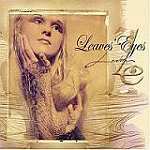 Review: "Leaves' Eyes: Lovelorn" - Sea of Tranquility - The Web Destination for Progressive Music! Theatre Of Tragedy truly lost an amazing part of their lineup when singer Liv Kristine decided to move on and form Leaves' Eyes. The band is comprised of the members of Atrocity, along with her husband Alexander Krull and the end results are simply extraordinary. Lovelorn is both a passionate and moody piece of music and it crosses the lines of what is considered Gothic Metal and that which has been labeled as Atmospheric Metal. Both genres offer an appeal that is best heard over being explained however if you enjoy Theatre Of Tragedy's music you will most probably enjoy this new band. Originally I was not sure what to expect of the piece yet as it started off with "Norwegian Lovesong" I quickly found myself getting deeper into the mood with which the band is setting you on. As you listen to Liv sing you will realize that she has one of the purest and most beautiful voices in Metal today. Her voice is softer than that of a Tarja Turunen who is more Operatic in style, yet I feel that fans of Nightwish will find some accessibility in this group as well. It is indeed great to see so many powerful women singers making Metal stronger and stronger each day. Musically most of the songs are haunting and at times full of eerie melodies. There are a couple of songs that are heavier and speedier and these are "Oceans's Way" and "Temptation". Both utilize the Black Metal growls courtesy of Alexander Krull. These songs also prove that the band is not some brooding "Woe Is Me" Gothic act and the Black growls offer a sharp contrast to Liv's Angelic voice. It's a very effective mix which I found worked across the length of the CD. "Tale Of The Sea Maid" is a single suitable release and among my most listened to songs. There are even a few good ballads for the fans of that stuff in "Amelie" and "Lovelorn". Both numbers are slow, with "Lovelorn" being the most atmospheric of the two. It was probably by listening to this track that the label came, but I found much more inside the rest of the CD. Accompanying Liv and Alexander in the group are: Thosten Bauer (guitar), Mathias Rodere (guitar), Christian Lukhaup (bass), Moritz Neuner (drums/percussion). It is quite possible that the 6 member lineup adds to the fullness of the group. I really enjoyed the CD, though I wish there were more than two heavy numbers. Overall the band and this debut are interesting enough to recommend a purchase. Earlier I drew an idea that Nightwish fans might like them, yet I feel this group falls more in line with that of Edenbridge and Within Temptation. Liv Kristine and Leaves' Eyes offer you a realm of new possibilities with their Haunting Gothic styles. The CD is available on Napalm Records. Check it out, you will be pleasantly surprised. There is also a video on this CD.